Farmers are to demand more income support if sterling drops further, amid fears over the lack of progress in the Brexit negotiations. The Irish Farmers’ Association (IFA) has said that its members are concerned about the lack of progress and clarity on what the outcome of the UK’s withdrawal from the European Union next year will be. Amid mounting fears that talks are continuing with no substantial progress, raising fears of a no-deal Brexit, farmers here have called on the Government to hold the EU to its promises that the impact on agriculture in Ireland would be minimised. “The task for the Taoiseach and the Government is to hold the EU to its position and guarantee that Irish farmers are not exposed in the final outcome,” a spokesman for the IFA told the Irish Independent. “The UK is our best market and we do not want to see trade disrupted, either by value or volume. 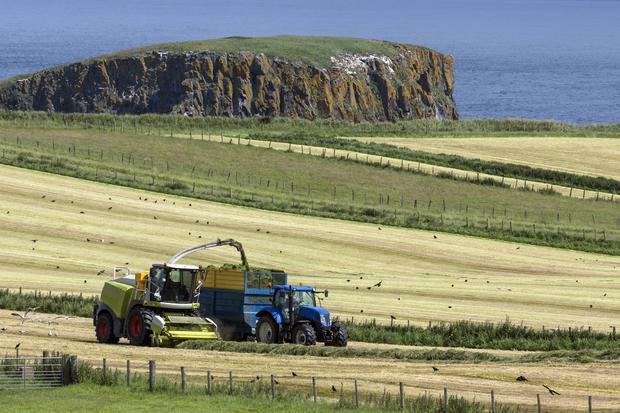 Farmers will also seek structural and adjustment support to offset the long-term negative impacts arising from Brexit and are seeking an increase in the Common Agricultural Policy budget to cope with the shortfalls. Agriculture Minister Michael Creed has previously warned that it will be farmers who will bear the brunt of a bad Brexit deal.